This is the first of a two part series about adjusting the rear end of your kart. When a kart is properly set up and optimized to race day conditions, steering effort will be reduced. The driver will be able to maintain maximum speed as the kart floats around the corners because it is neither too loose nor too tight. The driver will also fatigue less because he or she is not fighting against the kart. 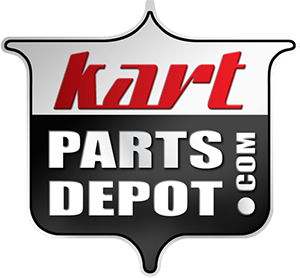 The rear end of the kart has the majority of the weight along with most of the moving parts so when tuning your kart for performance, that is a great place to start. When approaching a corner, you turn the steering wheel, the rear inner wheel lifts and grip is transferred to the outside rear wheel. The stiffness of the rear end is a big factor in how much grip is transferred to the outside tire and how fast that is done. The rear end of a kart may seem simple, but the axles, bearings, hubs, torsion bars, seat struts, rear bumper, and even the seat will impact stiffness. The stiffness of the axle will make the biggest impact so it is one of the most important things to get right before changing other things. When conditions are cold or the track is slippery, use a stiffer axle to transfer the weight to the outside tire more quickly. When the track is hot and sticky, use a softer axle to flex more. This will be a recurring theme throughout the process. More flexibility is needed when you have more grip. Next up is the rear hubs which manage the weight transfer to the tire through the axle. The hubs work like a stiffener on the axle with longer hubs overlapping more axle and therefore making the whole system stiffer. Use long hubs on cold slippery days when the kart feels loose and you have oversteer. Next time, we will move on to the rear track and torsion bars.